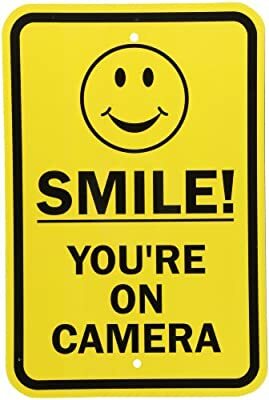 Size: -- Choose Size -- 18" x 12"
My Security Sign high intensity reflective aluminum rectangle video surveillance sign, header "Video Surveillance Sign", legend "SMILE YOU'RE ON CAMERA" with smiley symbol. 3M's "High Intensity" Grade Reflective parking and traffic signs offer up three times more reflectance than engineer grade reflective signs. 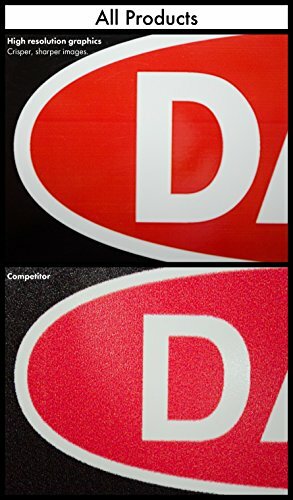 Signs use 3M brand, "High Intensity" film, a prismatic technology. "High Intensity" film not only offers greater reflectance straight on, but is especially bright when approached from an angle. Signs carry the 3M warranty for traffic signs - signs are guaranteed to last at least ten years outdoors - although in practice most signs last longer. 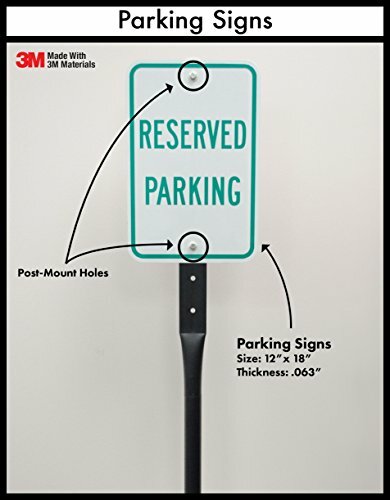 Signs are printed with 3M screen printing or 3M outdoor digital inks designed specifically for outdoor traffic and parking signs. 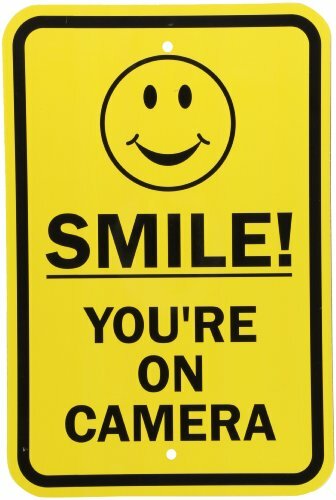 Unlike competitive signs, these signs are proven to last outside and use 3M matching ink and film components. Sheeting meets the standard DOT specifications for construction of Roads and Bridges on Federal Highway Projects FP-85 for Sheeting Type IIIA, Class 1 and the GSA LS-300C Reflectivity 2, Class 1. The base material for these signs is a 63 mil thick non-rusting aluminum. Signs have rounded corners - for easy handling and a professional appearance. 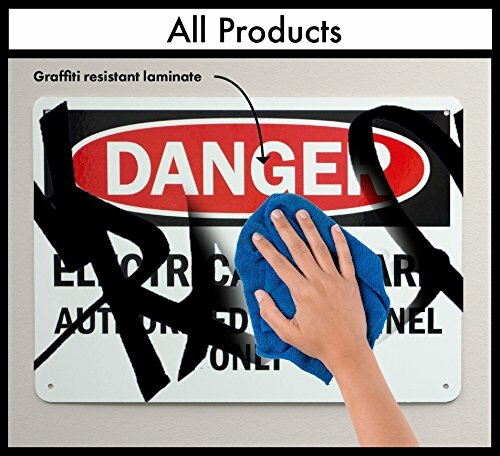 Competitive signs often use a lower cost and more hazardous square corner. Signs have prepunched/precleared holes to insure a hassle-free installation. 63 mil thick signs outlast wind and abuse. 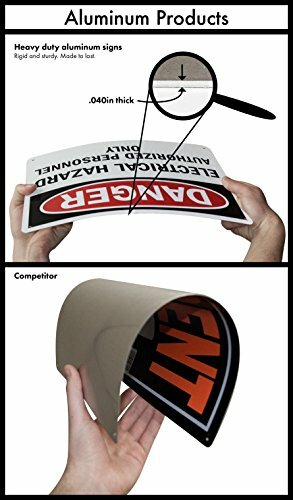 Once installed, and unlike 40 mil aluminum signs, they are virtually impossible to bend. Sign lasts 10 plus years outdoor life. Great water and chemical resistance. Typical maximum temperature 168 degree F. Mounts with screw or clips. Measures 12-inches width by 18-inches height. Black on yellow color combination.